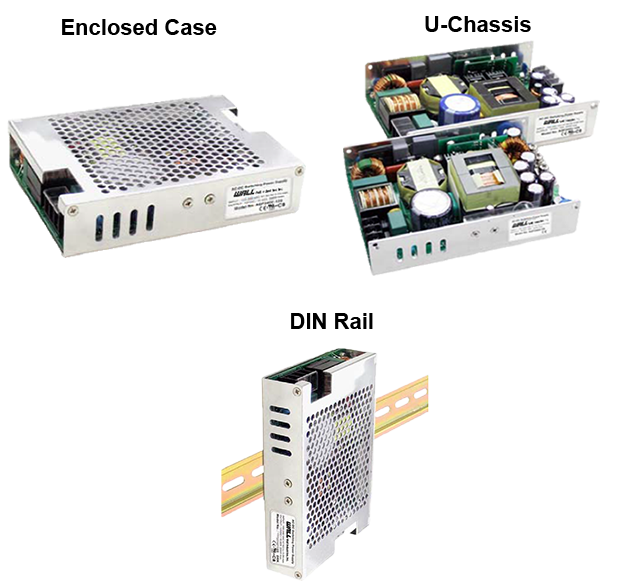 The PSAQF240 series of AC/DC switching power supplies offers up to 240W of output power. 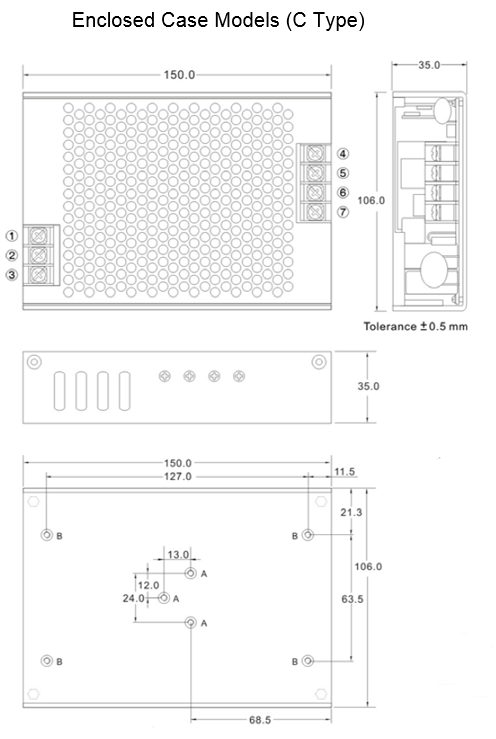 All models have a single output and a universal input voltage range of 90~264VAC (120~370VDC). 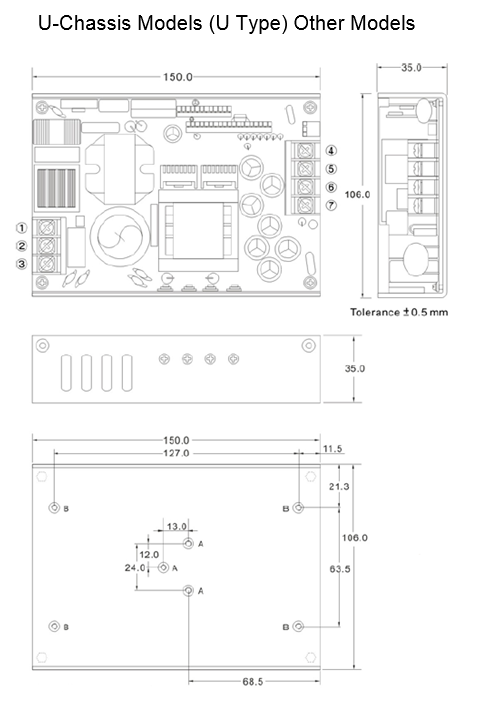 Some features include 4000VAC I/O isolation, PFC function, and high efficiency. All models in this series are RoHS compliant and have CE safety approvals. Every model except the U-Chassis type 5V model also have UL60950 and CB approvals. All models are protected against short circuit, over power, and over voltage conditions. 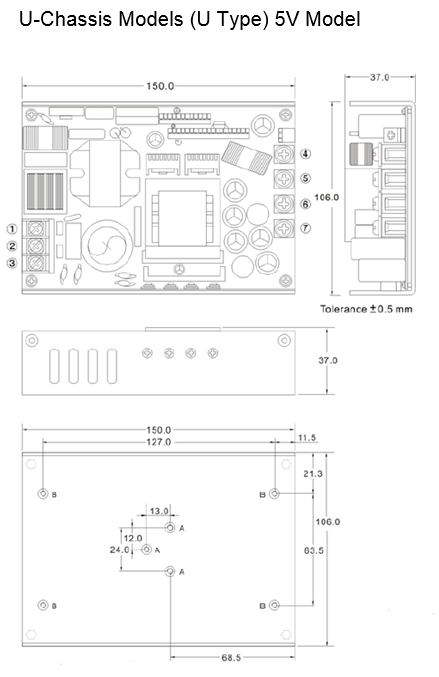 Models are available in U-chassis (type U), enclosed case (type C), or DIN Rail designs. Notes: 1. 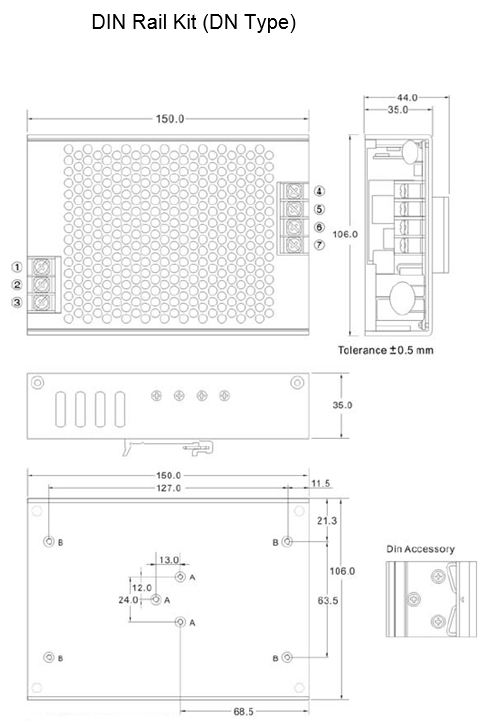 Three mechanical options available: U-chassis (type U), enclosed case (type C), and DIN rail (type DN).